This sense of a for­bid­den place, a place where entry will cost you, where there is no reward and only risk, is an apt vehi­cle for Chauly’s col­lec­tion, which doc­u­ments the poetic idea of brav­ery and risk, not in the sense of the con­fes­sional but in hard-edged reflec­tion of deci­sive moments in a life; it is a place where the social, per­sonal and polit­i­cal inter­sect. 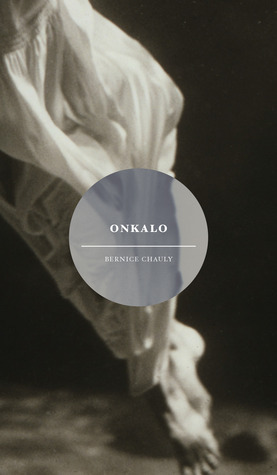 This place of inter­sec­tion, this Onkalo if you will, reveals itself through the poet’s mas­tery of form, whether it be in the refine­ment of the love lyric or in the exhor­ta­tion of the polit­i­cal cry. It also reveals itself through the apt place­ment of indi­vid­ual poems. 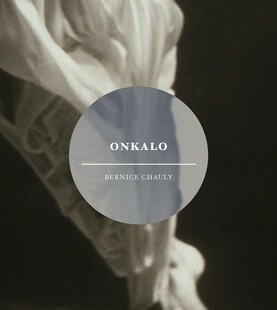 It is of inter­est to reflect on why the qual­ity of brav­ery is so inher­ently impor­tant to an appre­ci­a­tion of Onkalo. In an ear­lier col­lec­tion, The Book of Sins (2008), Chauly chal­lenges her read­ers by writ­ing with a star­ling lyri­cism of inci­dents of vio­lence (This Love) to ten­der­ness (For­give­ness). It is dif­fi­cult indeed both psy­cho­log­i­cally and tech­ni­cally to write of what is inflicted upon us, or indeed bestowed upon us, but the poet suc­ceeds in this regard through the con­ci­sion of lan­guage and image. When does thought become action? Will the keris strike yel­low flesh? Will it know when it is satisfied? on the flat road to home. With Signs we find an exten­sion of a Perse­phon­ian trope, where the poet leaves the Onkalo of a land­scape ‘trans­lated by fear/ruled by pain’ to become spring­like and ’green again’, ‘pop­u­lated once again/like pollen’. and the scent of a new world. to the dead who still haunt me. In the scor­ing of this suf­fer­ing, Onkalo brings us the com­plex­i­ties of a life, the nerve of being. JENNIFER MACKENZIE is the author of Borobudur (Tran­sit Lounge, 2009), repub­lished in Indone­sia as “Borobudur and Other Poems” (Lon­tar, Jakarta, 2012). She has pre­sented her work at many fes­ti­vals and con­fer­ences in Asia, most recently at the Irrawaddy Lit­er­ary Fes­ti­val in Myan­mar (sup­ported by the Aus­tralia Coun­cil for the Arts) and at the Asia-Pacific Writ­ers and Trans­la­tors Con­fer­ence in Singapore.